Walt Whitman, American poet, journalist, and essayist, was born on May 31, 1819, in West Hills, New York. His verse collection Leaves of Grass is a landmark in the history of American literature. Whitman grew up in Brooklyn, New York, and at age twelve began to learn the printing trade. Over time he moved from printing to teaching to journalism, becoming the editor of the Brooklyn Daily Eagle in 1846. He began experimenting with a new form of poetry, revolutionary at the time, free of a regular rhythm or rhyme scheme that has come to be known as free verse. In 1855, Whitman published, anonymously and at his own expense, the first edition of Leaves of Grass. Revolutionary too was the content of his poems celebrating the human body and the common man. 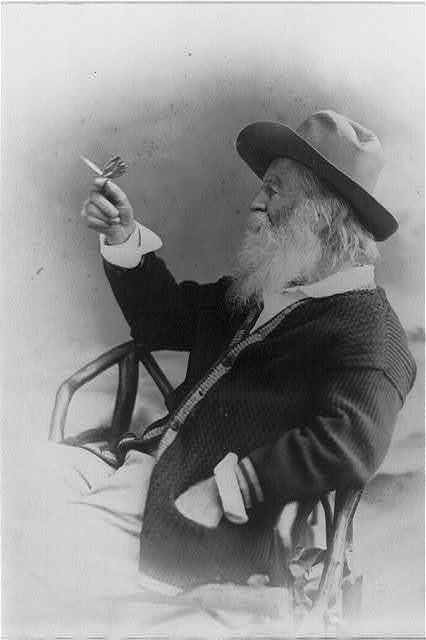 Whitman would spend the rest of his life revising and enlarging Leaves of Grass; the ninth edition appeared in 1892, the year of his death. Walter Whitman (May 31, 1819 – March 26, 1892) was an American poet, essayist, journalist, and humanist. He was a part of the transition between Transcendentalism and realism, incorporating both views in his works. Whitman is among the most influential poets in the American canon, often called the father of free verse. His work was very controversial in its time, particularly his poetry collection Leaves of Grass, which was described as obscene for its overt sexuality.